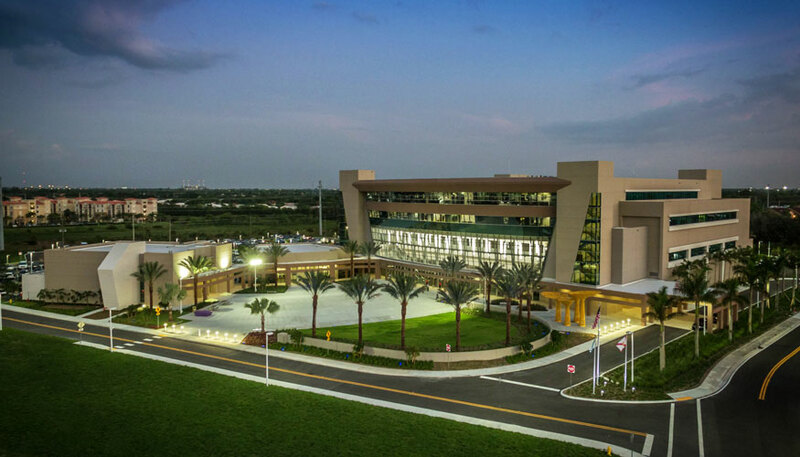 The new City of Pembroke Pines City Hall and Civic Center Complex opened in April, 2017. 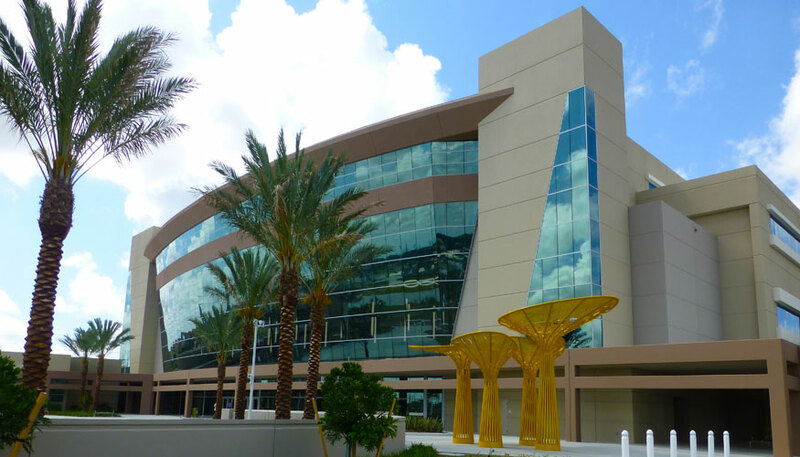 It is the highlight component of the Pembroke Pines Town Center. 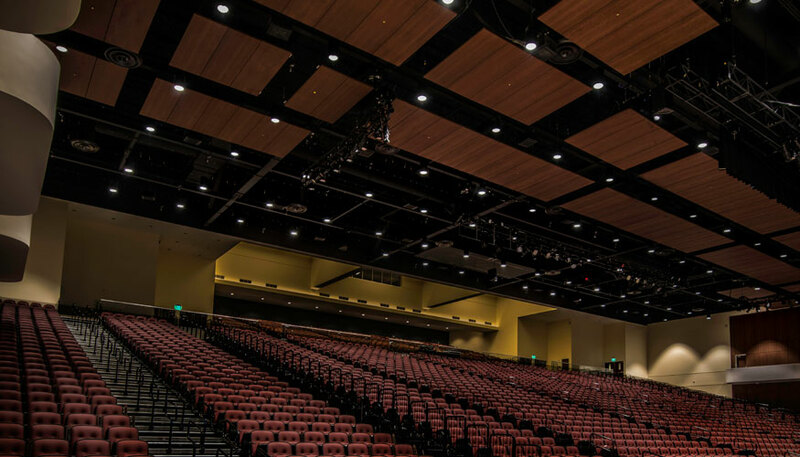 The Design includes a 166,895 square foot Civic Center with a 3500 seat acoustically designed Performing Arts / Banquet / Exhibition Grand Hall, a full Service Kitchen, Performing Dressing and Green Rooms, an exquisitely designed Grand Lobby ,and the Administrative offices for the City. The stand- alone 6,000 square foot Commission Chambers building will serve as the legislative venue for the elected officials. A 10,000 square foot Art Gallery will define the north end of the Complex. These three building surround a multi- media ready Community Plaza where the elected officials and the community can celebrate designated and important times of the year. The design of the buildings is modern and timeless. 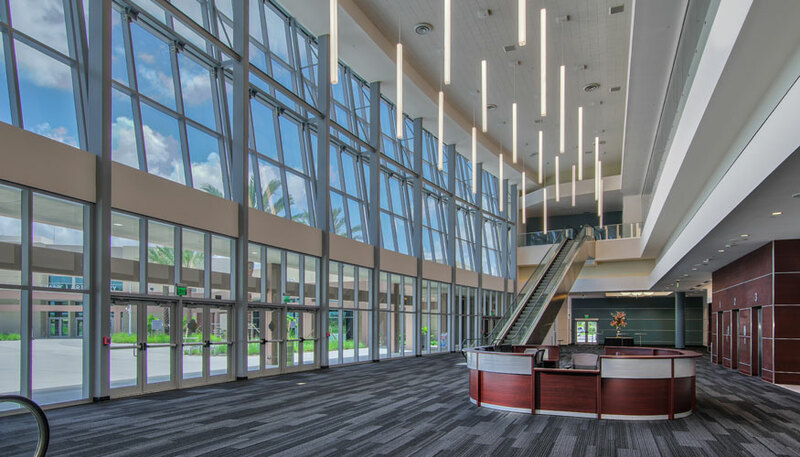 The 180 foot long and 70 foot high wall of glass separating the Civic Center from the Community Plaza not only provides for great view into and out of the building , but, also signify the transparency between those who govern the City and the governed. 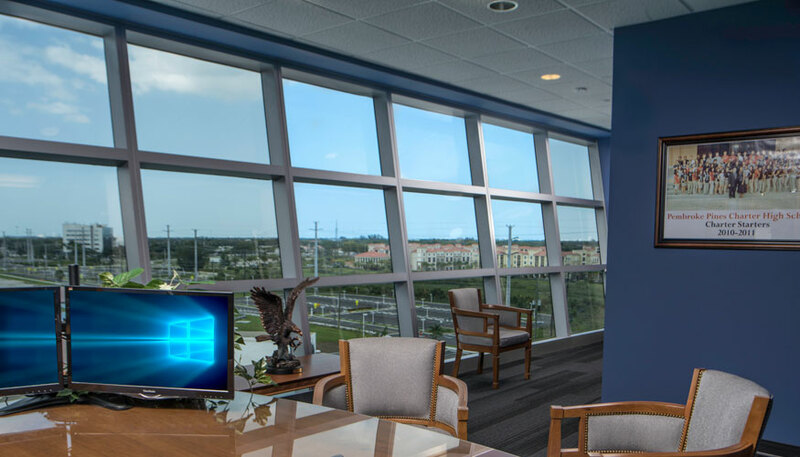 The glass wall has a northern exposure in order to minimize heat gain into the building, and allows enough light into the building minimizing the need of electric lighting. The Commission Chambers is also designed with a visual and physical access to the Community Plaza. 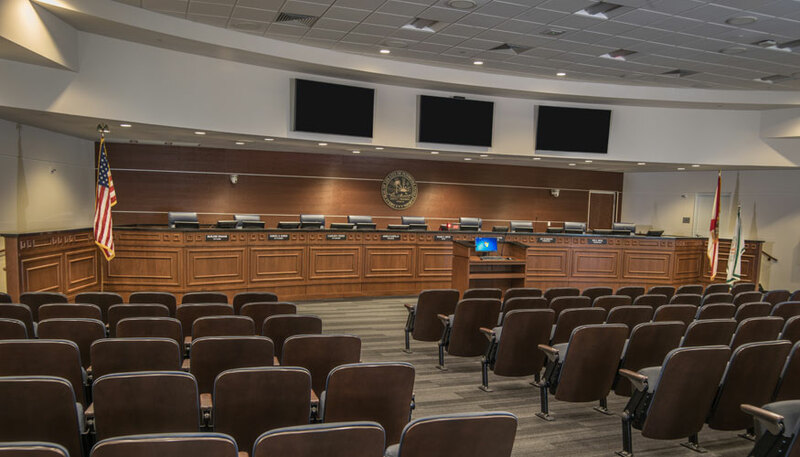 The Commission Chamber’s human scale design reflects the issues discussed at the Commission meetings and the decisions affecting each person of the community in a very human way. 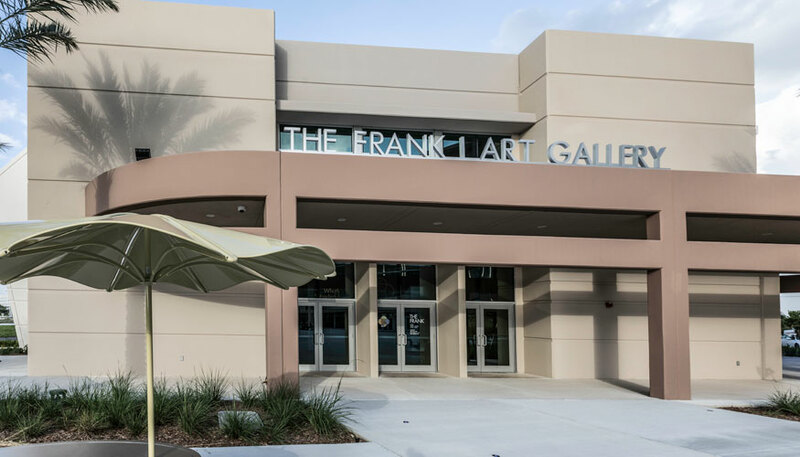 The Art Gallery faces the Community Plaza as well. It is composed of pre-function and function spaces along with a flexible floor plan layout and a state of the art lighting system. The whole complex was designed using green practices and good neighbor context.